Attendance on the workshop is free fo charge. The number of participants is limited, so speed up with the registration. 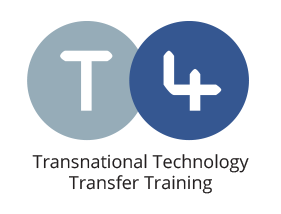 Workshop will take place in hotel Livada Prestige; Kranjčeva ulica 12, 9226 Moravske Toplice. 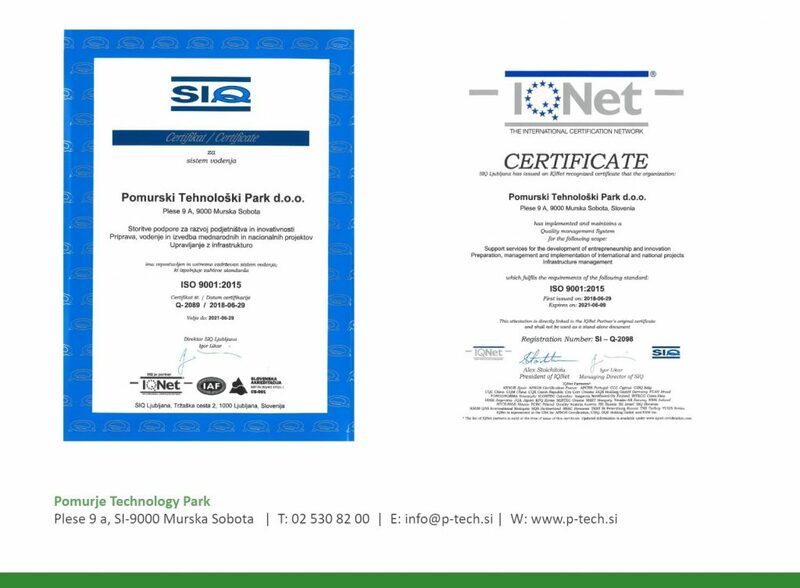 Pomurje Technology Park is being ISO 9001:2015 certified! 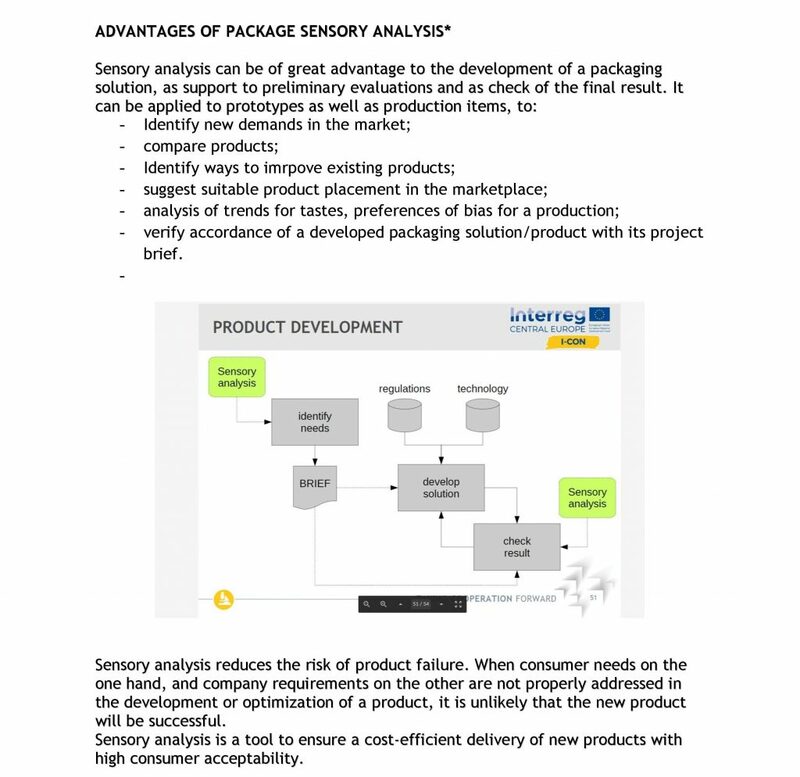 Pomurje Technology Park constantly improves the efficiency and quality of its business processes. We are pleased to announce that at the end of June 2018, we as one of the first development organizations in the wider region received a certificate of Quality Management System ISO 9001: 2015 from SIQ for the support services development of entrepreneurship and innovation, preparation, management and implementation of international and national projects and infrastructure management. Our constant efforts to raise the quality of our services and customer satisfaction will of course continue also in the future. 10. 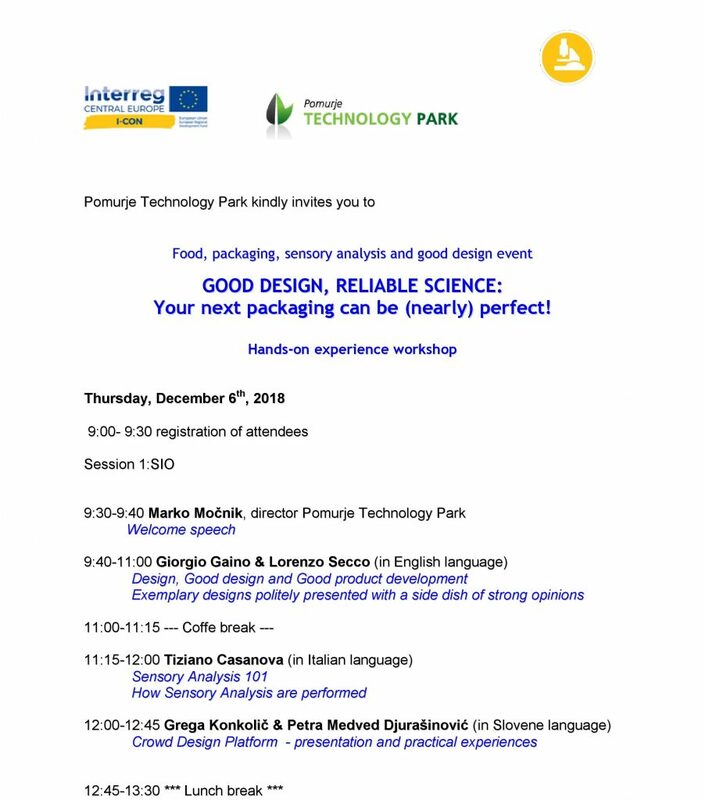 August, 2018 Tomaž Lapoša News Comments Off on Pomurje Technology Park is being ISO 9001:2015 certified! 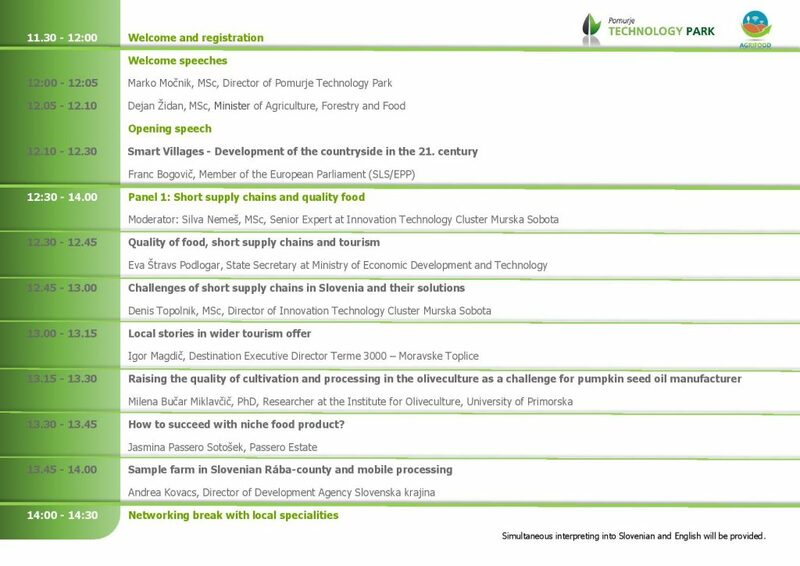 Pomurje Technology Park is organizing on 27th of August 2018 in the framework of 56th International Agricultural-Food Fair AGRA an international conference with interesting topics under the title Transformation of agrifood sector through novel forms of local delivery, digitalization and partnerships. 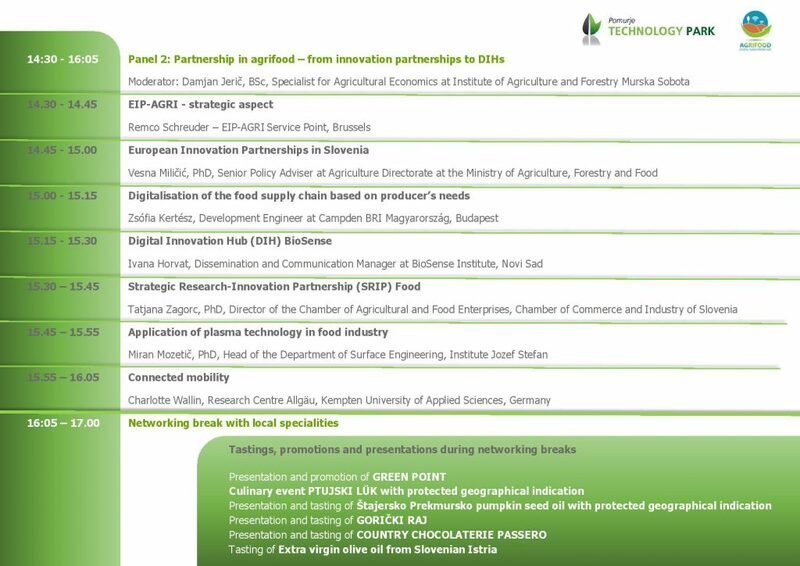 Together with eminent speakers from AGRIFOOD sector from South-East Europe region we will highlight challenges, solutions and opportunities for the future of agrifood sector, with an emphasis on local delivery of quality food and new forms of cooperation, which shall speed up the process of digital and overall transformation of the sector. In order to attend the conference, you need to register online at https://bit.ly/2vpkeJ6. After the registration you will receive a registration code for the e-business coupon for the conference and the fair. The number of places is limited, so hurry up with the registration! 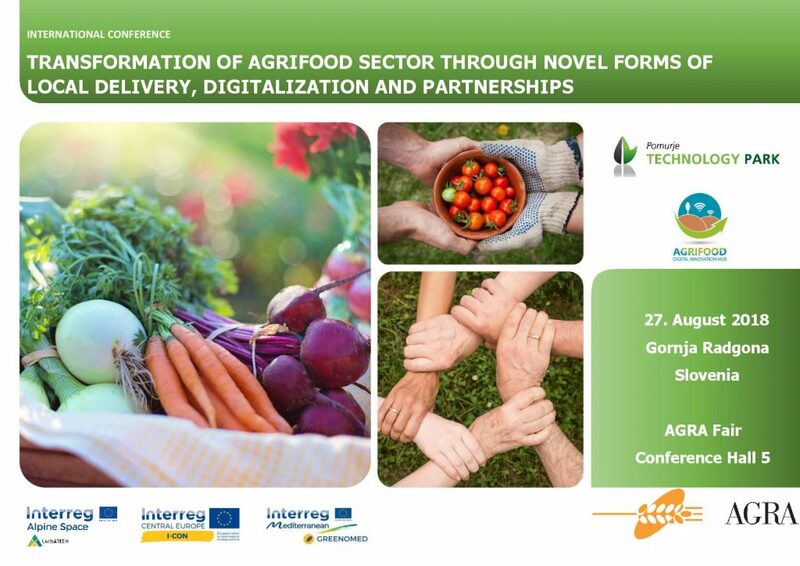 The conference focuses on different stakeholders in agrifood sector, who are taking part in local food production and supply, as well as those looking for local food suppliers (public sector, tourism sector). 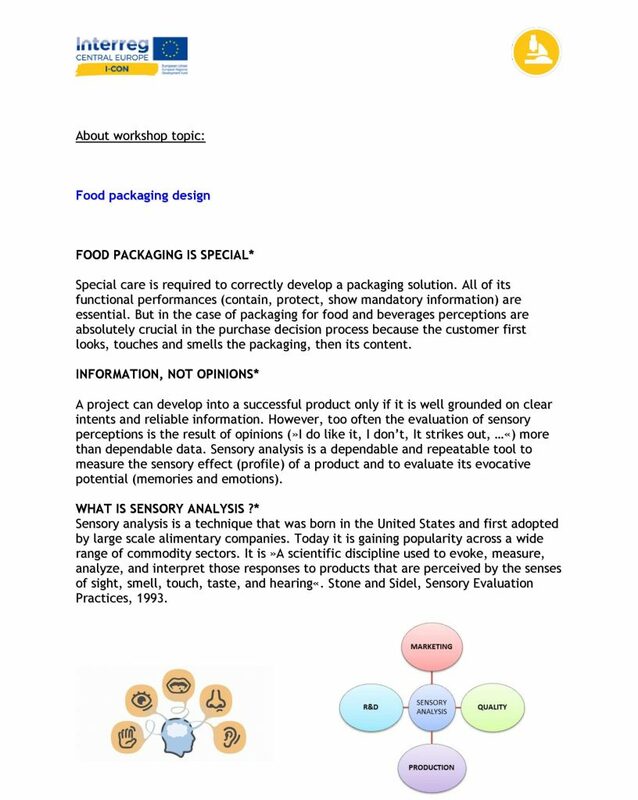 On the other hand, the whole agrifood sector is heading towards new forms of cooperation in order to be able to respond to increasing demand for increasing production, quality and efficiency. Therefore, the conference is highly interesting for policy level, concrete solution providers, R&D organizations and business support organizations on one hand and farmers, farmer organizations and food processing industry on the other. You are kindly invited to participate at the conference and to share this information further.